This (2016) is the first year to hold this contest; in following years, it will be continued by Open Door and hopefully expanded. We are interested in collaborating with other groups and organizations that like this idea – contact us at contact@opendoor.hk to discuss it further! * Employers often terminate the contracts of their domestic workers after four years even though their work has been satisfactory, in order to avoid payment of Long Service Payment (a Hong Kong labor law requirement for all employers to pay to their workers who have served more than five years of employment). We wish to recognize the wisdom and responsibility of those who do continuously employ one domestic worker for more than five years; this reflects the employer’s recognition of their worker’s rights as well as the high value they place on their worker’s continuous good service. How to Apply: Eligible migrant domestic workers can nominate their employers for an Outstanding Employer award by filling out a form and sharing with us how they think their employer is outstanding! Pick up a Form on 26 June 2016 at the “How to Make Space” exhibit: The Central Oasis Gallery, Central Market Public Passage 2/F, 80 Des Voeux Road Central, Hong Kong. 2) Complete the form and send it by postal mail to: Open Door, 4 Jordan Road, Kowloon, Hong Kong. The application submission deadline is 30 June 2016. The Contest will accept the first 50 valid entries, and may close the contest early if received before 30 June 2016. What criteria will be taken into consideration in selecting the winners? See Criteria below for more details on how the winning “Great Employers” will be chosen. There are many ways that employers make their domestic workers feel safe, trusted and respected! Share with us why you feel you have a Great Employer, in your application form! *Maintaining a good working relationship over five years or more is not luck: it requires effort, patience and respect from both employer and worker – thus we reward both for their outstanding example. For more information, the terms and conditions, as well as the application form, please visit the website www.opendoor.hk. Open Door is a group of domestic worker employers and other Hong Kong citizens united in promoting more awareness of domestic worker related issues, good employment practices and better policies for both domestic workers and employers. 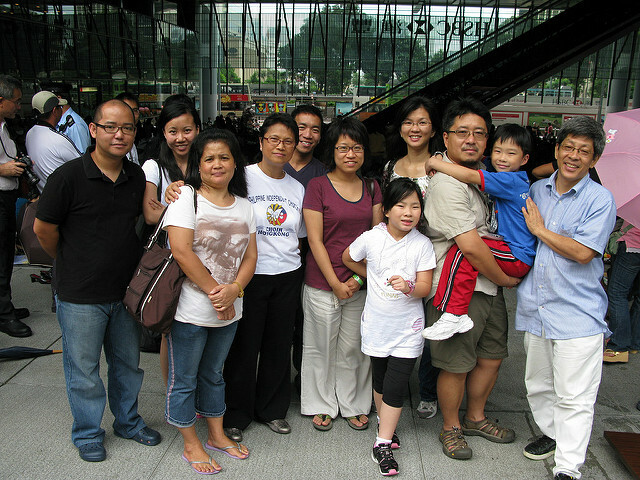 We formed in 2009, have become a registered society, and conduct activities such as talks, forums, and cultural walks. We are a membership organization and welcome new joiners and volunteers! You may visit our website www.opendoor.hk and our Facebook Page: www.facebook.com/opendoorhk. Devora Neumark is an interdisciplinary artist, researcher and educator based in Quebec, Canada. Rowena is a Hong Kong-based artist, raised in San Francisco. Growing up in a multicultural city, she became very interested in the expression of her different cultural identities and the reverberations on her of the everyday life she experienced. Rowena received two Bachelor of Fine Arts degrees from California College of the Arts: in Individualized Major with an emphasis on Book Art, Drawing and Mixed Media (Honors Program, 2013), and in Graphic Design (2008). How does your employer make clear her/his work requirements and priorities? How does your employer demonstrate knowledge of the difficulties you may have working in Hong Kong? How does your employer express appreciation for the meals that you cook and/or other work you do for the household? How does your employer show a high degree of trust in you? How does your employer show respect for your holidays and rest time? How does your employer treat when you are sick – for example, offer you rest? How does your employer make sure you can go to bed a reasonable time – for example, does he/she ever wash the dishes or do other chores after hours? Are you made to “feel at home” in your employer’s house? If yes, please explain how. How often do you get to cook and eat food from your home cuisine in your employer’s house? Is it paid for by your employer? Do you have enough time to eat? Can you choose what you eat? Describe. Does your employer provide you with enough blankets when the weather is cold? Does your employer provide you with a proper place to sleep? If yes, please describe. Do you get enough rest? Do you have a locker or other appropriate space for your personal belongings? Do you feel safe and respected, and have a regular time and space for privacy? Please describe. How does your employer show her respect for your privacy? Please describe. How does your employer understand and show empathy for you when you miss your family? How often do you go home to visit with your family? Does your employer provide you with Internet access so that you can be in touch with your family on a regular basis? In what ways does your employer demonstrate appreciation for your situation (e.g. being away from home, being homesick, during family emergencies, etc.)? Send in your Nomination for Outstanding Employer soon! The deadline is 30 June 30 2016. Save the date! Attend the Awards Ceremony at the Central Oasis Gallery beginning at 3 PM on Sunday, 17 July 2016. Come and meet the Outstanding Employers of Hong Kong! Maybe even claim your prize! Once there, you can also view the letters of recognition written by grateful employers as part of the exhibition How to Make Space.